- New Double Filament Valve to compress the contents of the roll bag. - Create up to 4 times more space in luggage, wardrobes and cupboards. Dual purpose - can also be used with vacuum cleaner if required. - Protects contents from dirt, damp & insects. 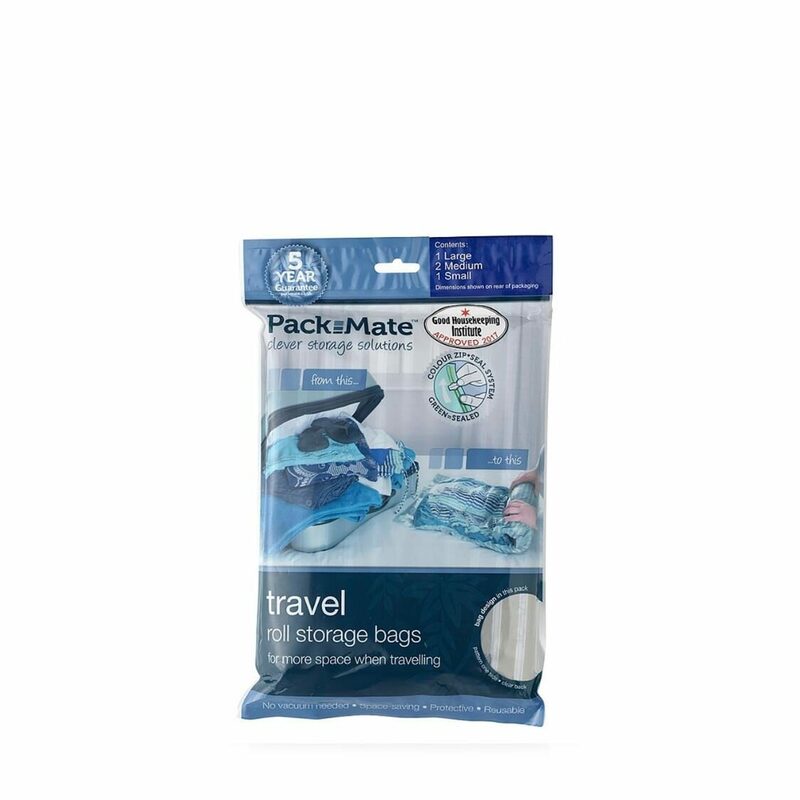 - These are the Original manufactured by "Pack-Mate"
- Beware of older versions without the New valve!